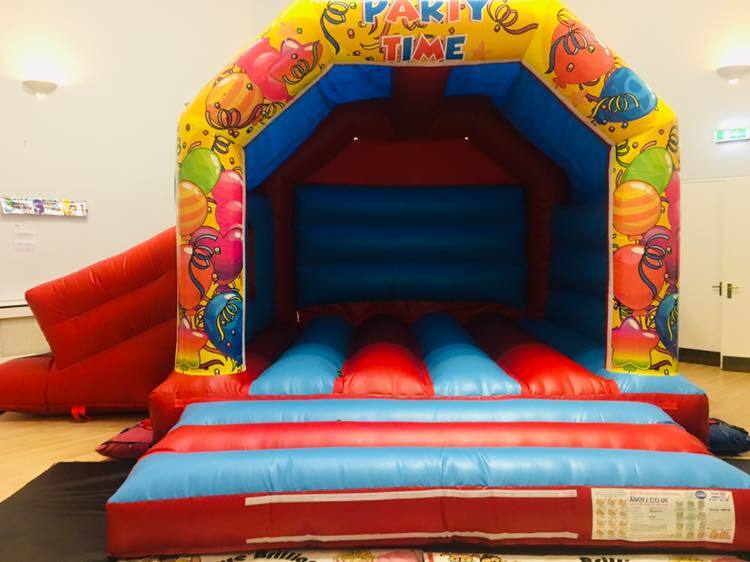 Say hello to our two brand new bouncy castles! They are the perfect way to keep the kids entertained and help them burn off some of that extra energy they always seem to have! 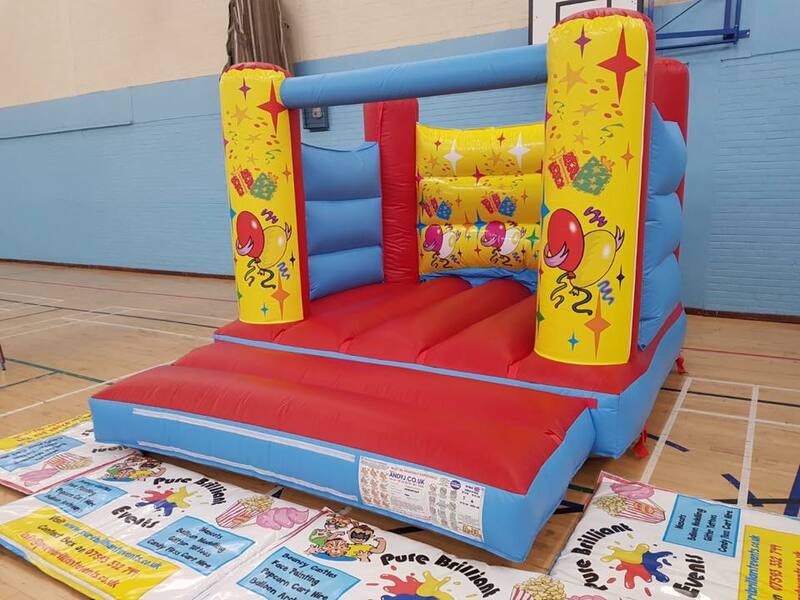 A staple at many birthday parties, you can't go wrong with either our brightly coloured, unisex H frame castle or changeable theme A frame combo castle. Both castles can be booked for outdoor hires March - October inclusive and indoor hires year round. Our castles each have a valid safety certificate and insurance. 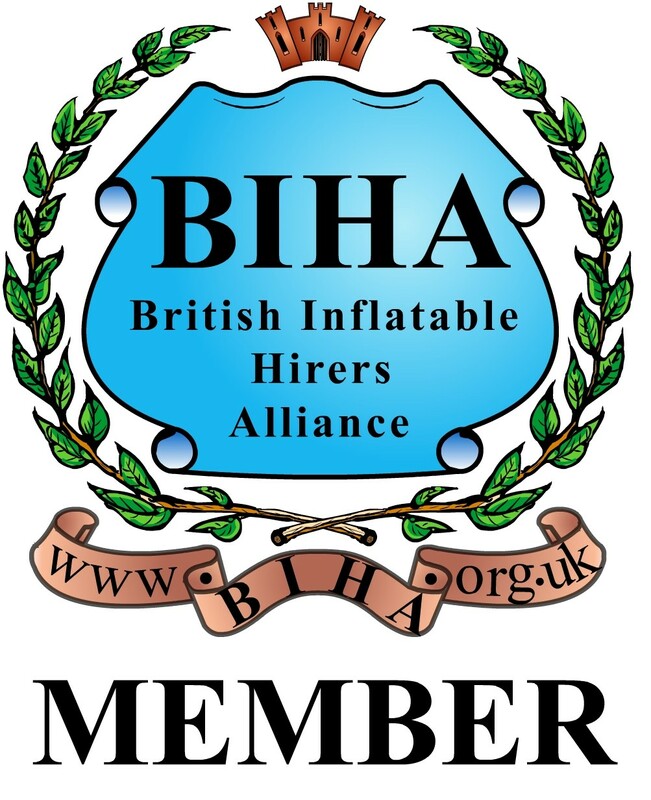 We are also a member of BIHA - the British Inflatable Hirers Alliance so you can be reassured you'll be in safe hands. See below for more info on each individual castle! 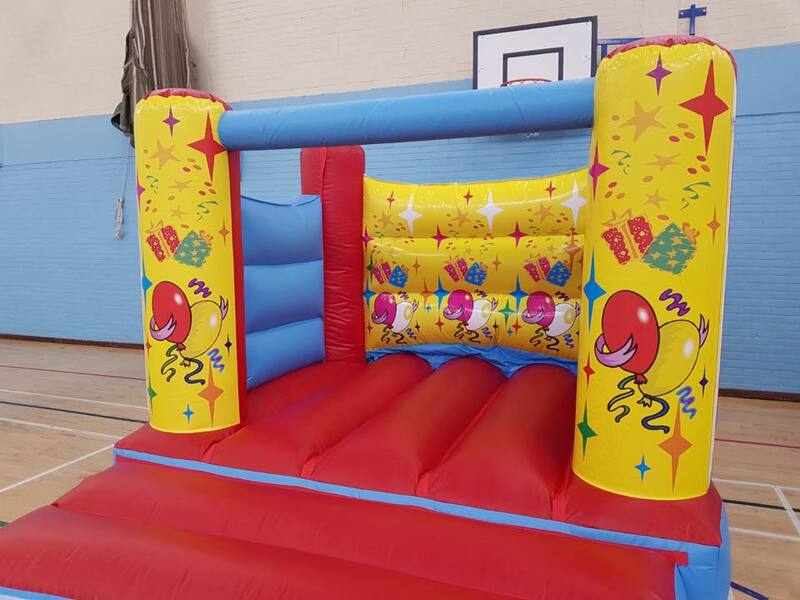 Our H frame castle is brightly coloured, unisex with balloon designs. This castle is 10ft x 12ft and 8ft tall. Due to it's low height this castle fits in 99% of indoor venues, needing a ceiling height of 8.5ft. Please ensure you have a space 12ft x 18ft as we also need space in front for safety mats and behind for the blower. It is suitable only for children up to 12 years and up to 8 children can be on the castle at a time. Please read our Terms and Conditions section as we will require a signature on delivery before use. 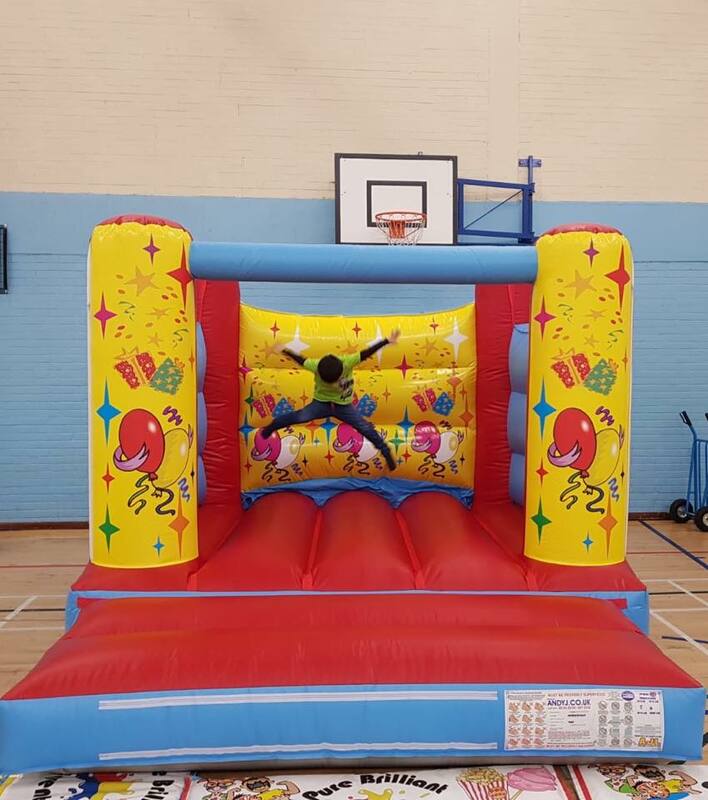 And with it's side slide it is a huge hit with the kids! This castle is 15ft x 17ft and 11ft tall. Please ensure you have a space 21ft x 21ft with at least 11.5ft ceiling height This will allow for safety mats and the blower. This castle is suitable for children only, up to 12 years old. Please have a read through our Terms and Conditions section as we will require a signature on delivery before use.